We’ll help you to attend a rocket launch ! In 2019, From Space With Love will send several emails containing valuable information and advices to optimize your chances of attending a rocket launch. If you are interested, select “Attend a rocket launch” in the first question below and fill in the form to subscribe to our free newsletter. You will then receive a confirmation email, please click in it to confirm your subscription. 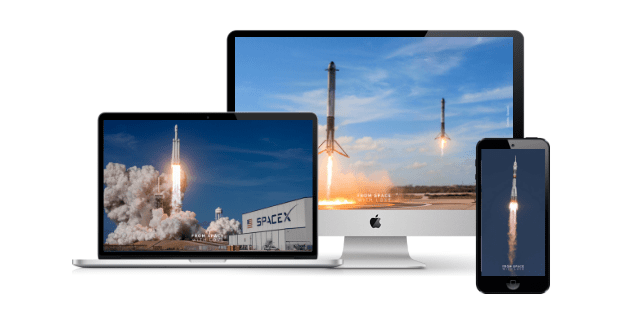 Immediately after your subscription, we will send you 12 awesome and free rocket launches wallpapers for smartphone, PC and Mac (Retina) ! First, what is your space dream(s) ? You can change your mind at any time by clicking the unsubscribe link in the footer of any email you receive from us, or by contacting us at jonathan@fromspacewithlove.com. We will treat your information with respect. By clicking below, you agree that we may process your information in accordance with these terms.